How much does Ty Long love football? 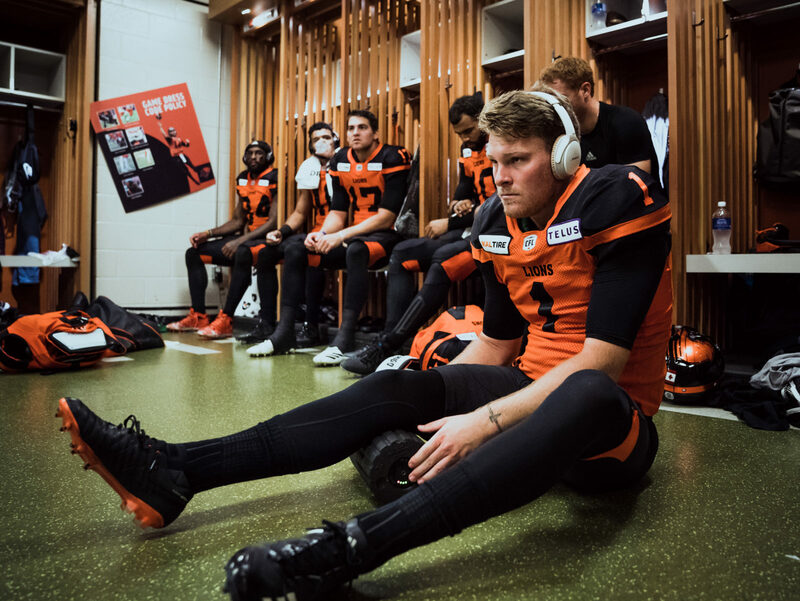 All you need to do is consider the fact he was out on the Lions’ practice field kicking balls on his own on Tuesday afternoon; no less than nine days after his BC Lions were sent packing with their convincing playoff loss in Hamilton. That’s the award-winning mentality he hopes to be recognized for on Thursday night when the CFL hands out its hardware. 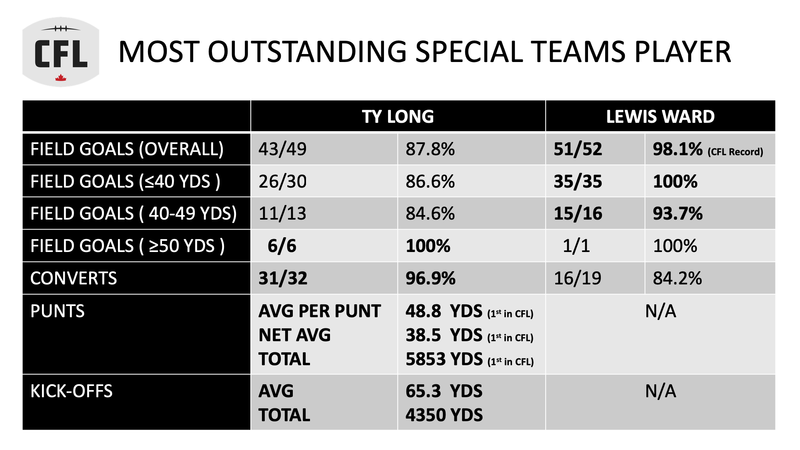 When it comes to annual debates surrounding said CFL Player Awards, top special teams honours is rarely a hot topic. Yet, 2018 has been a funny year and we present you the case of Long versus Lewis Ward. The second-year Lions kicker once again led the league in punting yards, punting average and proved to be one of the CFL’s more reliable long-distance field goal kickers (numbers break down below). Ward meanwhile, did more than his fair share in helping the Ottawa Redblacks secure a third Grey Cup berth in five seasons. 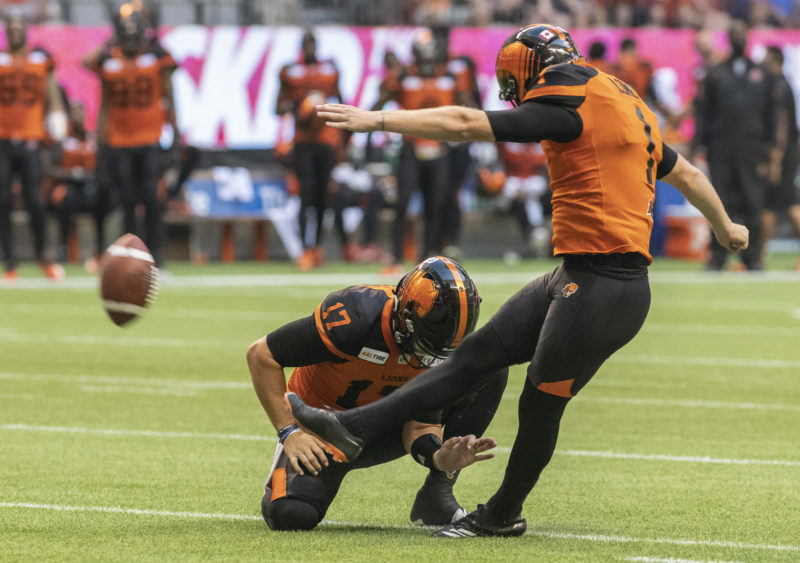 The undrafted rookie set new CFL records for field goal percentage (98.1) and consecutive field goals made (47), while not missing any regular season attempts since the second quarter of Ottawa’s opener back in June. It begs the question: what is more valuable? Field goals or actual field position? The fact Long performs all of the Lions’ kicking duties should definitely sway some of the voters’ his way. That being said, Long knows the fact he’s made it this far is a credit to both him and his East Division counterpart. “I was thinking about it the other day. Honestly, when it comes down to who wins this award, and I’m being brutally honest, I want to win it, but in the grand scheme of things you have a guy like myself and a guy like Lewis, two guys who weren’t supposed to make their team,” said Long. The obstacles both faced are exactly what this league is all about. 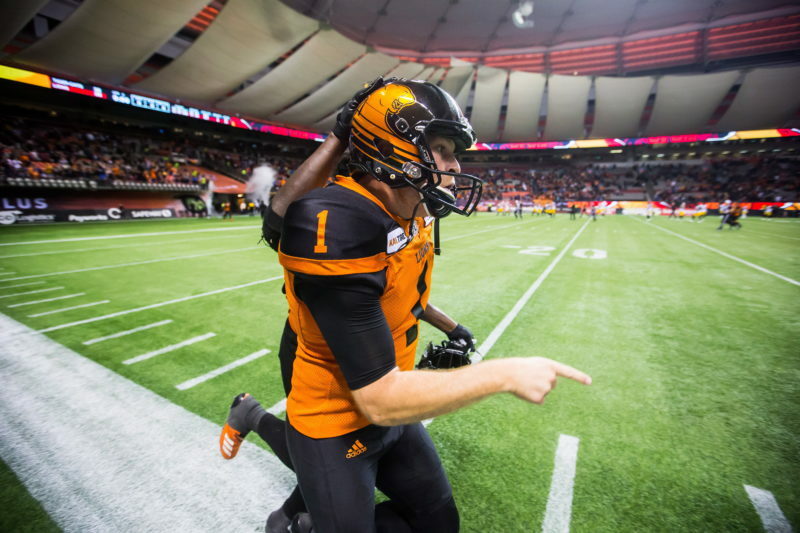 Long had to beat out mainstay kicking veteran Swayze Waters for a Lions roster spot in 2017, while Ward now has a shot to sip from the Grey Cup only one year after attending the big game in Ottawa… as a security guard. As mentioned, Ward doesn’t handle the punting or kickoff duties with the Redblacks. That falls on former Lions kicking specialist Richie Leone, who we already know is also a childhood friend and former high school student of Long’s in Roswell, Georgia. There is your ironic twist to this wonderful special teams story. “He’d better be rooting for me to win the award. Just kidding,” chuckled Long about Leone. As for the said question about his versatility and should it give him an edge, Long will opt to let the voters decide his true worth when it comes to the award. “People can have their opinion and say whatever they want, but if I’m leading the league in both punting categories and finish in the top three in field goals, me, Brett Lauther and Jason Medlock probably had the most attempts of 50 or more yards, I felt like I deserve the opportunity to at least be recognized,” stated Long. We shall see how it plays out. He will get a nice break from the suspense that comes with Thursday night’s awards presentation by having his fiancée Cara Crumpton join him in the Alberta capital and take in some of the other Grey Cup festival activities; something Long is eager to check out for the first time since migrating north. “I’m excited to get up there and check it out,” said Long. Ty Long kicks a field goal during a win over the Edmonton Eskimos on August 9th. Photo: David Friederich. And should his name be called on Thursday night, you know he will give those who helped him accomplish everything to this point their due at the podium. “I have a little something planned,” said Long. “As I mentioned, I’ve been lucky to be blessed with so many great leaders around me from Benson, Fajardo, Rolly Lumbala, all of the big guys up front and of course, Wally Buono and Jeff Reinebold. You don’t abandon all those good people around you. Win or lose, you can probably find him kicking on an empty field somewhere on Friday morning.